Sanam Baloch: Sanam Baloch Sucessful from Childhood Although she appreciates that she has been lucky enough to be offered so many roles in the first place, Sanam Baloch is determined to maintain a certain standard, and accepts only lead roles. Sanam Baloch recent dramas and shows are Doraha (Geo TV), Band Khirkion Ke peechey (TV1), Noorpur Ki Rani (Hum Tv) Mannchalay (Hum Tv), etc. 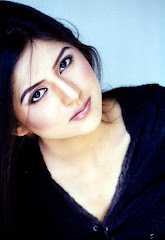 I like your serial Dastaan ...your acting was fantastic . God bless u dear .